Nike is in the midst of a soft launch of a new career site, one it’s likely to officially announce next week. It’s a significant refresh of the way it communicates to the many candidates clamoring to work for the shoe-apparel-equipment multinational. Celinda Appleby is one of the major players at Nike on this. She came on board in November of 2016, having worked on branding and recruitment marketing for Oracle and HP. Handed the prototypes in December 2016, Appleby created a task force to work on the new site. The task force — we’re into 2017 now — came up with a third option for a new site, representing some aspects of the two TMP prototypes and some new features. The new Nike career site is more like the Nike consumer site, with more dramatic fonts than the prior go-round. It forgoes the practical-but-uninspiring “corporate or retail?” fork-in-a-road choice that led the old site’s home page. 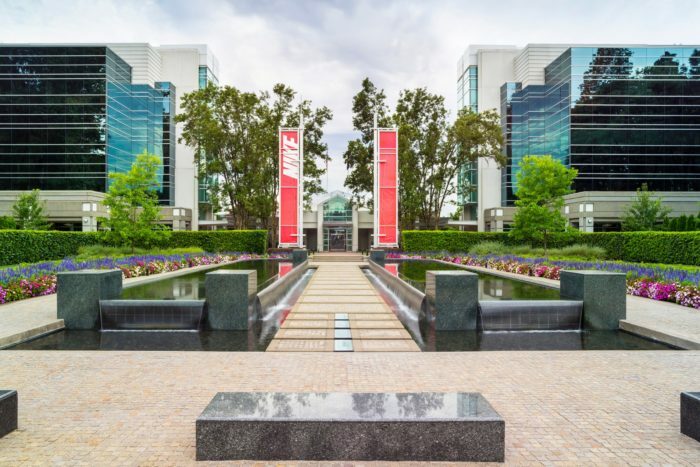 It features actual campus imagery and employees, a direction other companies are going, like VMware, Cisco, and sports-wear competitor Under Armour, to name a few. Nike — a bit like, for instance, the Gap — aims to more clearly show its multiple brands, such as its Converse brand. It improves sharply on what was a rather dry list of benefits, and moves “diversity and inclusion” to the home page. The previous site, to Appleby’s dismay, included no job search on the home page; the new site moves it up front. It’ll also now be easier to finish a previously started application.